Home » Final Hours of Scratch-Off Kickstarter! Final Hours of Scratch-Off Kickstarter! 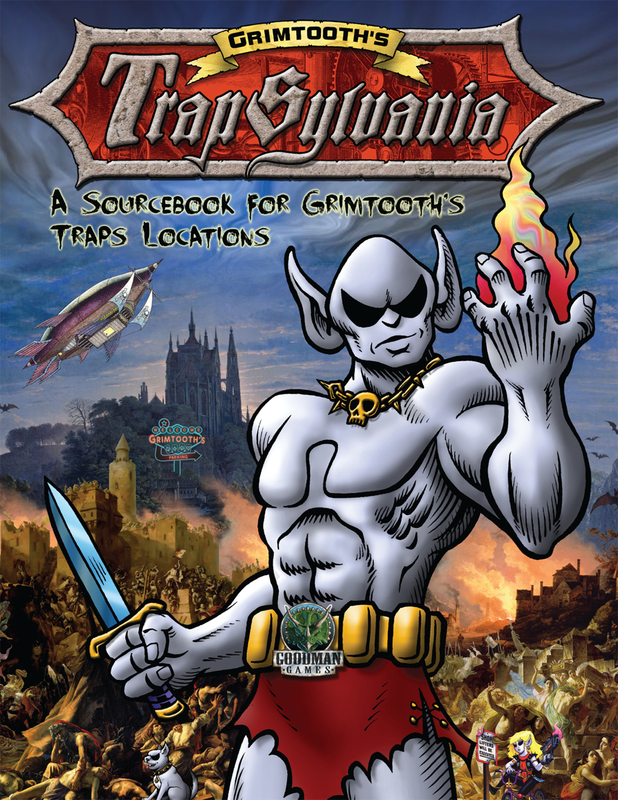 SCRATCH-OFF KS FINAL 24 HOURS! We are basically down to the final 24 hours of our Kickstarter for the DCC 0-Level Scratch-Off Character Sheets! If you were waiting to pledge, the waiting time is over! There are only hours left until the campaign closes on this unique item. In case you hadn’t heard about it, here are the details. Every character sheet comes with a scratch-off box for each ability score and other key statistic. Before the game you distribute them to your players. 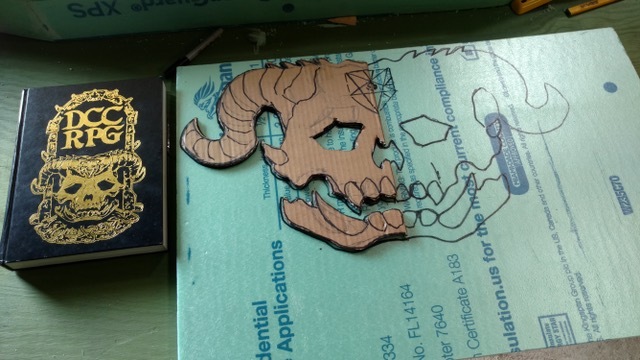 They use a coin to scratch off the appropriate boxes, then you let the dungeon diving begin! This is easily the simplest way to get your 0-level funnel started, jumping into the game in a matter of seconds. 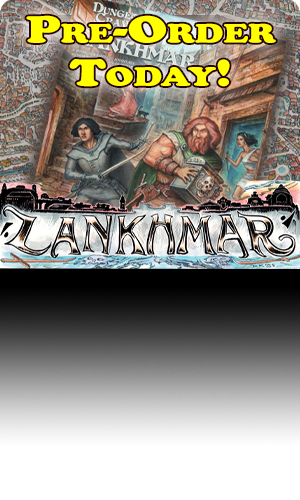 The campaign is funded, and the first three stretch goals are met, but we’re looking to reach further and hit a few more stretch goals before everything comes to a close. 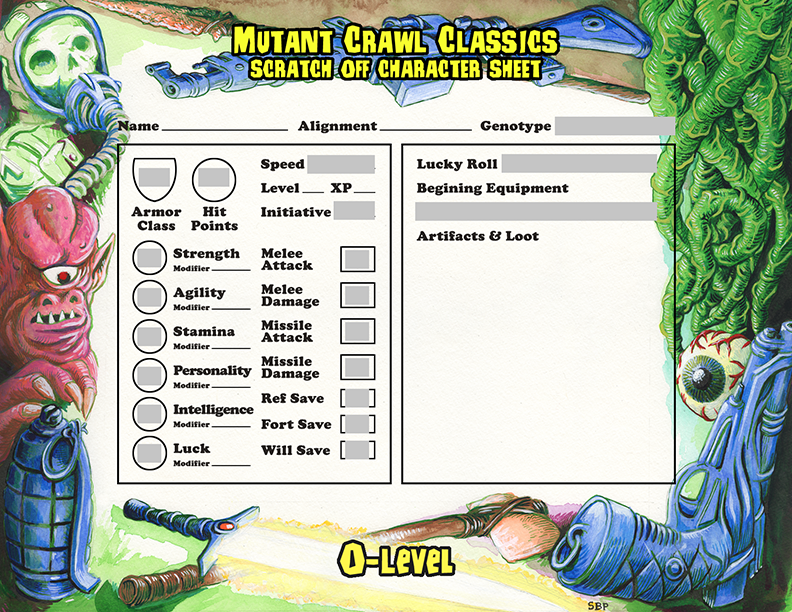 PLUS, if you are looking forward to our new Mutant Crawl Classics RPG, then you will want to get on board for the MCC 0-Level Scratch-Off Character Sheets! If you order eight or more packs of the DCC Sheets, you will get a bonus pack of the MCC 0-Level Sheets for free! What a great way to give MCC a chance! Remember, you only have hours left! Rush over to Kickstarter and pledge now! We’ve got another great selection of Goodman goodies that have hit stores recently. 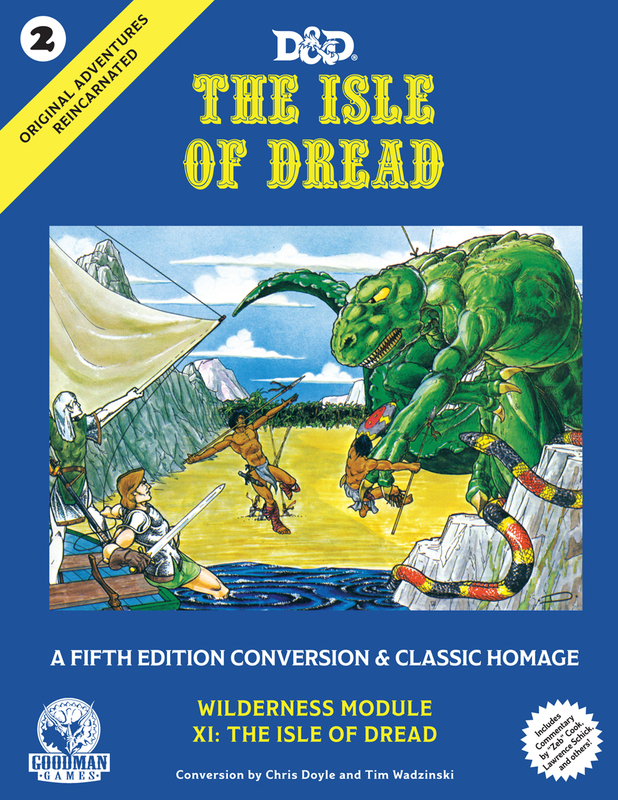 A pair of items to help get folks into the world of Dungeon Crawl Classics at a budget price! 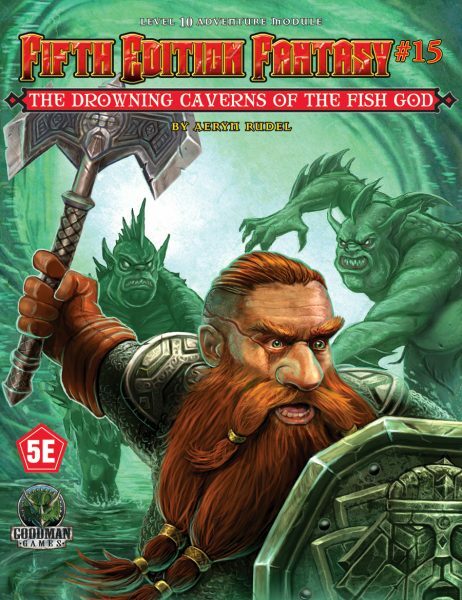 The Dungeon Crawl Classics Softer Edition is back and better than ever. 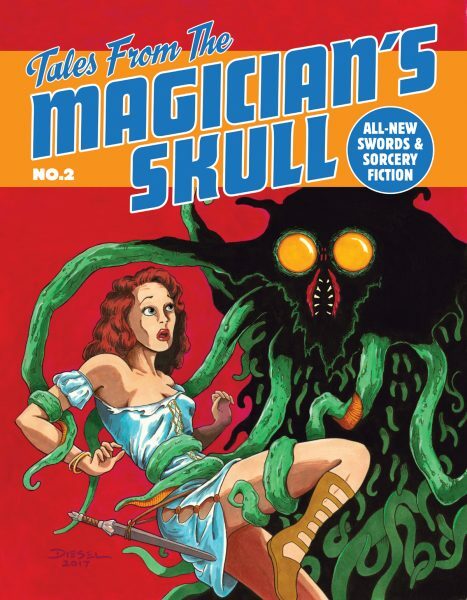 This volume comes with everything that you get in our hardcover edition, but at a lower price. 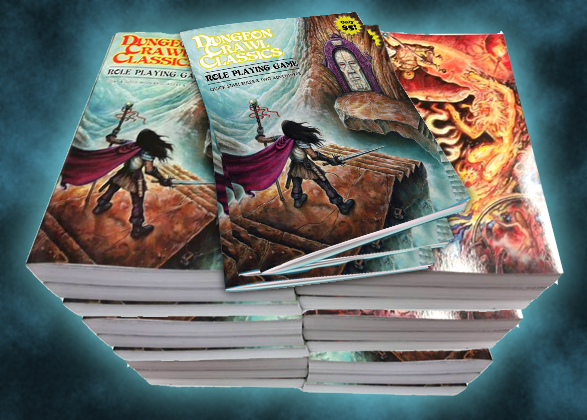 A full 480-pages of rules and setting to get you deep into the world of DCC and the action and adventure that go along with it. The first printing of the softcover sold out in less than a year, and we are thrilled to have this volume back in print! 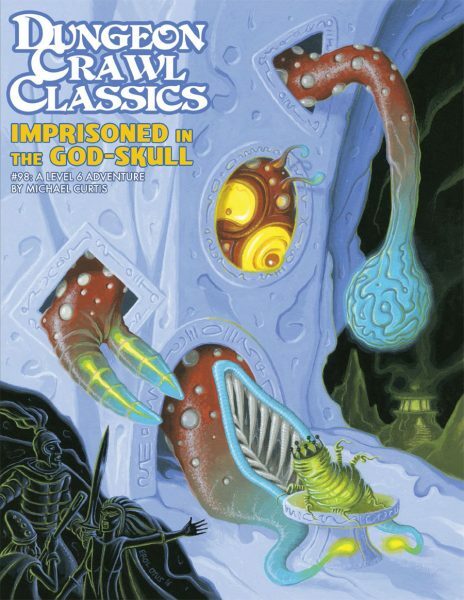 Now, if you have some friends who might be interested, but don’t want to make the full commitment just yet, then why not have them try out the new Dungeon Crawl Classics Quick Start Rules? The Quick Start Rules are a trimmed down version of our standard rules, giving new players enough of a taste to get a feel for the game and even take them all the way up to level two. Of course, it doesn’t have everything that comes in the full book, but it’s the perfect stepping stone to get new people interested in our system. 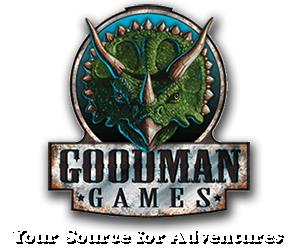 You can jump on over to our Retail Locator to find the FLGS near you, or you can use our online store to find the latest offerings. It’s less than a month to the biggest gaming con in the US, GenCon! This year we have tons of exciting surprises in store for our fans. And one of those surprises has a resounding…sound. 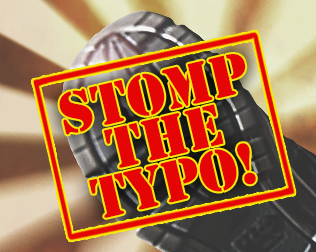 If you are playing in the DCC Team Tournament you will soon discover the wonder that is…THE GONG OF DOOM! What does this gong mean? How will it affect the game? You will discover soon enough. For now, you must simply wonder, and enjoy the sound of…THE GONG OF DOOM! !